Il Tramonto - The Sunset Capri: 3 reasons to book here | Capri Booking. 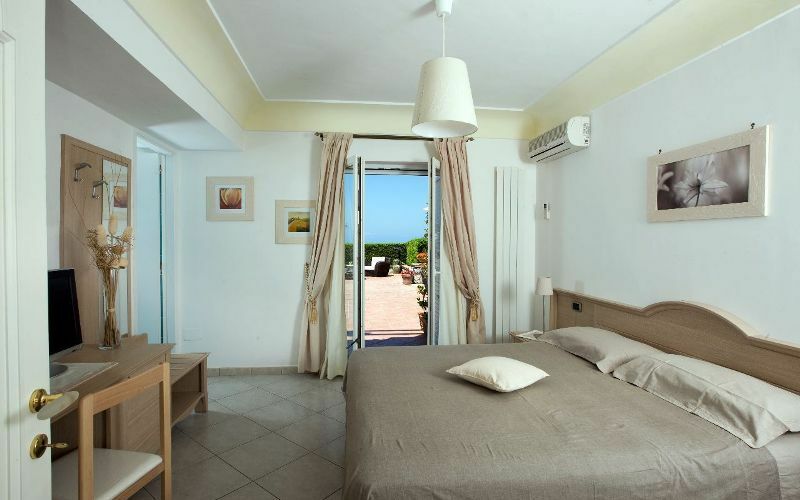 You've just arrived at your B&B on the island of Capri, the friendly owners have shown you to your beautiful bedroom, from where you can see magnificent views of the Bay of Naples and glimpse the large panoramic terrace below. 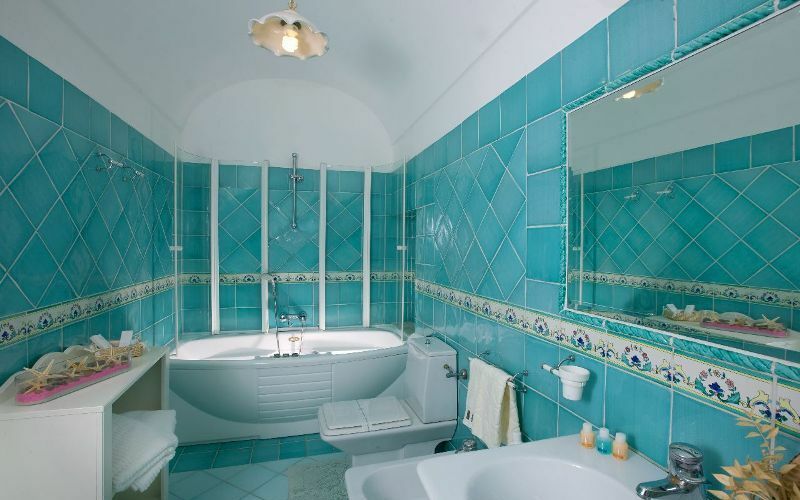 You're already pleased with your choice, but you still haven't seen the best bit about this B&B on the island of Capri: the sunset , from which B&B Il Tramonto takes its name. 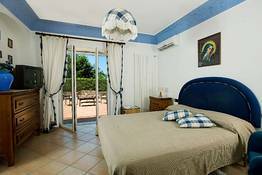 Book a room in this bed & breakfast in Anacapri, and get ready to enjoy a relaxing holiday, exploring what is, for many, the most authentic and exclusive part of Capri. Lemon, Orange, Pomegranate, Cherry: B&B Tramonto's bedrooms, each of which has its own private terrace, have been named after the delicious fruits which grow in abundance on this much-loved Italian island. 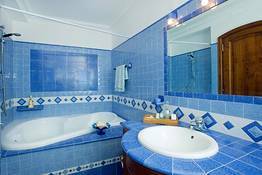 If you relish the authentic home-from-home feel of a traditional, family-run B&B, but enjoy life's little luxuries too, book "Lemon" - the room with hydromassage bathtub! Far from the frenzy of downtown Capri, in Anacapri the days pass blissfully slowly, between a stroll to the beautiful Migliera viewing point and a trip to the sunny beaches next to the lighthouse and the Blue Grotto. Wherever you choose to spend the day, make sure you get back to the B&B and Tramonto's panoramic terrace in time to see the spectacular view of the sun setting over the sea! "The B&B is ideal for those looking for a relaxing holiday, far from the island's tourist traps." "The owners are so caring and personable. They go to great lengths to make sure your stay is enjoyable and want you to love Capri as much as they do!" "An enchanting garden with citrus trees, roses and honeysuckle, lovingly cared for by owner Luciana." "As soon as we arrived the owner offered us a drink and gave us detailed information about all the things to see and do on the island Capri. " "We only stayed for one night, but the B&B was fabulous, the owners were really kind and made us feel like family. " "The photos on the website do not do justice to a place which, in reality, is even more beautiful! " "Awesome place to stay! You won't be disappointed!" "Extemely pleased with our stay, and can't wait to return to the breathtaking views of Anacapri." "This B&B couldn't have been called anything else: from each and every bedroom a spectacular sunset can be seen. " "A piece of advice for couples: be careful because with a setting like this you might soon find yourselves in three." "Everything was perfect! Peaceful position, relaxing and romantic"
"A delicious and generously sized breakfast is served in the gazebo in the garden, from where a view of the island of Ischia can be seen. " "The beautiful landscape and friendly people, I would like to back again !!! " "Sabriana and Luciana made us feel really welcome. Even though it rained during our stay, we were still able to enjoy the beauty of the island.We hope to come back soon! " "Luciana was the most charming and helpful hostess, she was always able to help in any way...would love to return!" 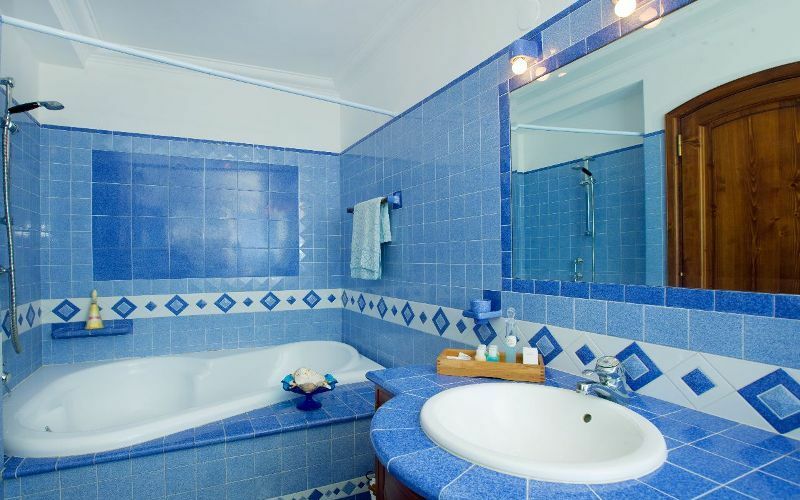 "Amazing B&B - great location with panoramic views of the Mediterranean. Beautiful small lanes to walk down into the heart of Ana-Capri. Owners recommended a great dinner place as well as a nice cafe!" "Everything was wonderful. The only downside was the poorly lit lane we had to use to reach the B&B. " "Everything was great , if we were nit-picking we`d say the breakfast selection could have included fresh bread and more fruit ." "Best holiday we've had in a while. Luciana couldn't have been more helpful. We were genuinely sad to leave"
"good view from the garden and breakfast nook. the lock on the door broke while we were there and the heater didnt work either. owner was really nice but wanted the bill in cash"
"We went on a rainy week, the host we were nice, the place is not very far away from bus station 5-7 mins walk. with luggage do take a taxi"
"Lovely place, with very welcoming and accommodating hosts. But location is a LONG, STEEP walk from town area - something of a barrier. DO ring Luciana on arrival at Marina Grande with bags. " "We had a great stay! We loved every moment of it. We visited during the holiday season, it was cold in Capri. We knew it would be. 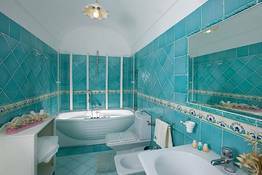 We can't wait to come back and stay at the Il Tramonto in the Summer." Il Tramonto - The Sunset: "Grazie,grazie saluti da capri luciana e sabrina"
"To anyone wishing to stay in Anacapri, this is the place to stay! Luciana is as helpful as can be, a informative hostess, welcoming and friendly with all the guests, but not overbearing.Beautiful view"
The central position of the property means that guests are able to reach Anacapri's numerous sites of interest in just a few minutes. Mount Solaro, linked to the town by a breathtaking journey by chairlift; the Church of St Michele, renowned for its majolica pavement depicting the earthly paradise; the Villa once belonging to Axel Munthe, the terrace of which boasts a magnificent vista over the Gulf of Naples; the Migliera viewpoint, from where the world famous Faraglioni rocks can be admired, all lie within easy walking distance. Likewise, the island's bathing establishments and the town of Capri are easily accessible, with bus and taxi stands located just a few meters away. Book Il Tramonto - The Sunset on Capri.com now with no additional booking fees.